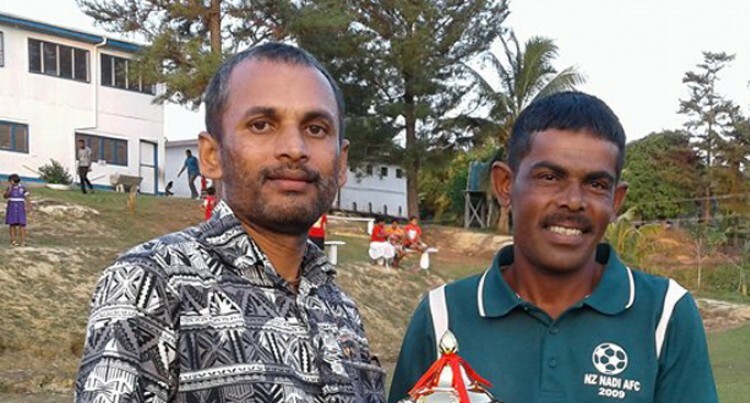 Nadogo Bilibili Association kite competition winners Nilesh Prasad and Vishwar Kumar at Nadogo Central College in Macuata Province on August 3, 2018. The Nadogo Bilibili Association took the initiative to revive the Asian tug of war in the Macuata Province, where the Korotari Combined team won first prize. The one-day competition also had kite flying competition held at Nadogo Central College last Friday. Nadogo Bilibili Association co-ordinator Mohammed Khan said the Asian tug of war was revived in Vanua Levu after a lapse of 21 years. The tug of war is where teams of seven people pull a rope to get another team across a pit. “The purpose of the revival was to bring the people of Vanua Levu together and encourage good sportsmanship,” Mr Khan said. “This sport was once done at Seaqaqa, Daku and some other places in Vanua Levu. Mr Khan thanked the Safetech Electrical Limited for sponsoring the event prizes. He said there were 80 participants in the tug of war and 51 in the kite competition. In the kite competition, Nilesh Prasad and Vishwar Kumar scooped the first prize. Mr Khan said next year they would have this competition in a bigger way.